Juan D'Arienzo (14/12/1900 - 14/01/1976) "El Rey del Compas" is one of the most important and famous tango figure. Composer, violinist and conductor, his energetic and rhythmical style is at the origin of his success. He recorded more than 1000 recordings during his career, a huge discography on his own! This article traces the maestro history, main changes of his orchestra over the time and the evolutions of his style. Juan D'Arienzo participate as violinist, which is not the case later during his career (he uses to stand in front of his musicians). This group includes the cello, an instrument he will not use anymore then. We can notice the presence of Florentino Octaviano, who is in fact the singer Francisco Fiorentino, with a double role here: bandoneonist and singer. Later, he became very famous with Anibal Troilo orchestra, among others. This orchestra also accompanied the singers Carlos Dante and Raquel Notar as soloists. 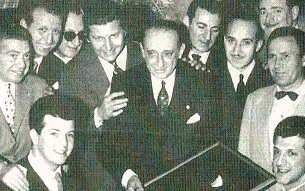 it would appear that Anibal Troilo, Jorge Argentino Fernandez and Hugo Baralis (at that time, members of the sextet Elvino Vardaro) completed the orchestra on few opportunities and on some of the first recordings of 1935. Quite soon, D'Arienzo meets the pianist Rodolfo Biagi who just left the orchestra of Juan Canaro (Francisco Canaro's brother) and who also plays every night at Chantecler. During this period, D’arienzo was also called "El Rey del Compas" (The king of rhythm), by the artist presenter. 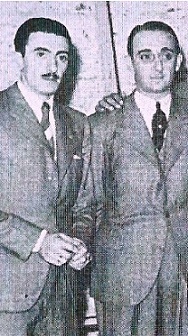 Juan and Rodolfo become friends and when the contract with Fasoli ends, D'Arienzo incorporates Biagi in his orchestra. Biagi brings a strong influence by accelerating even more the tempo and using bright transitions at the piano. By the way he is also called "Manos Brujas" (bewitched hands). The evolution of the style can be noticed from the recording of 9 de Julio in December 1935. The next year, Juan D'Arienzo plays at Radio El Mundo and increase the band by adding 2 bandoneons and a violin. D'Arienzo enjoyed a great deal of success and influenced the tango trends of this period. Dancers use to know the famous tango Paciencia recorded by this orchestra in 1937, composed by Juan D'Arienzo and Francisco Gorrindo and sung by Enrique Carbel. 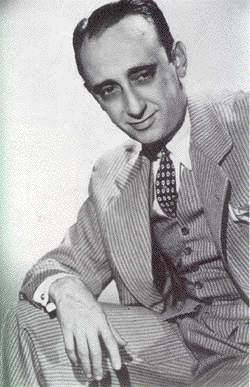 In July 1938, Rodolfo Biagi leaves D'Arienzo to create his own orchestra and records several hits for the label Odeon. He is replaced by Juan Polito, who is probably the pianist the most important in the history of D'Arienzo orchestra (he was already there in 1928 and we will hear again about him until the last recordings). Having a great success, El Rey del Compas continues with his style and will increase even more the speed until 1941. The rhythm and the lively accents prevail on melody, which is sometimes suggestive only. Bandoneons are at the forefront and more numerous than violins; the piano keeps an important role by completing the rhythmical structure. "For me, the tango is first of all rhythm, energy, strength and personality. Tango in the old days, the one from Guardia Vieja, had all of this, and we must ensure that it never loses it.."
All the musicians leave the orchestra and Juan D’Arienzo must build a new one from scratch. Hector Varela takes care of arrangements and Fulvio Salamanca replace Polito at the piano. This new orchestra recorded in November 1943, the best seller disk of the tango history. This 78rpm includes La Cumparsita and La Puñalada on the other side. The picture on the side is from 1957 with the RCA Victor when the disk went gold: 10.000.000 copies. 1942 - And the melody? From 1942, the rhythm and speed tendency starts changing in favour of musical phrases. Several orchestras participate to this change, for example Carlos Di Sarli who uses more violins and give priority to the melody. This time, it is Juan D'Arienzo who will follow the new trend by slightly slowing down his tempo and levelling the melody to the rhythm which remains very present. Hector Mauré plays a key role in this change thanks to the continuity of his phrasing. He flies over the beat with a rare talent and contributes to a kind of balance between rhythm and melody. During the same period, the style will remain with a slight increase of speed (which had slowed down from 1942). This acceleration occurs over a long period and depending on tangos, without following a strong tendency as it was the case before. Should we consider a 1938 return? It’s true that D'Arienzo comes back to his favourite recipe, but without forgetting the last years nor the melancholic phrasings. Between May and September 1950, the orchestra of the King of Rhythm will change a bit. The bass player Olindo Sinibaldi dies passes away and Hector Varela leaves the group to make his own orchestra. He is followed by Alberto San Miguel, Salvador Alonso and Luis Pinotti. The arranger role carried by Varela until then, is fulfilled by the pianist Fulvio Salamanca. These changes have some effects on the orchestra style. While the orchestra from the 40’s was slower and with a lower register, the new one is faster and brilliant. Here we are: 1957 ! And some changes will again occur. Fulvio Salamanca leaves D'Arienzo to create his own orchestra. He is replaced by Juan Polito (the return), while Carlos Lazzari takes over the arrangements until the end (1975). The singers Alberto Echagüe and Armando Laborde also leave. D'Arienzo falls back on two great voices: Mario Bustos and Jorge Valdéz. Echagüe will return in 1968 and Laborde in 1964. "The human voice must be an instrument of the orchestra, like others, and nothing else. To sacrifice everything to the “opera singer” is a mistake." - D'Arienzo in 1949. From 1957, he will however put the singers on the forefront, or at least more than usual, with longer parts and more present voices. Other musicians participated until 1975. They are not all mentioned here. 1929/29 Francisco Fiorentino, more famous later with Anibal Troilo. 1934 Rafael Cisca, who did not record. 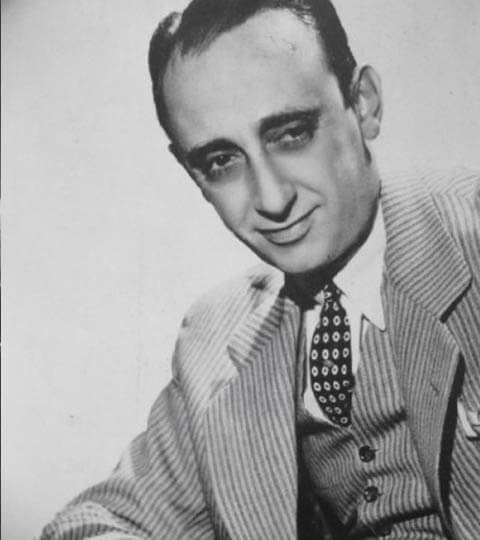 1936 Walter Cabral, 1st singer to record with D'Arienzo under the RCA Victor label. 1936 Follows Mario Landi, unfortunately without recording. 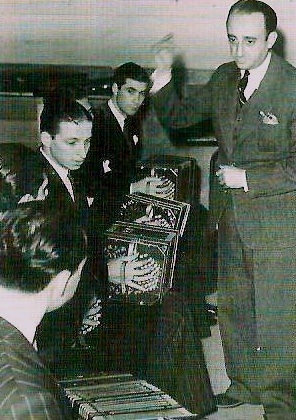 1937 Enrique Carbel, who records the famous tango Paciencia. 1938 Alberto Echagüe, the most emblematic voice of D'Arienzo. 1940 Alberto Reynal (16 recordings), then Carlos Casares (3 recordings). 1940 Hector Mauré, who replaces Casares in December 1940. He stays approximately 3 years before leaving the orchestra due to sickness. 1942 Juan Carlos Lamas until 43. 1944 Alberto Echagüe returns until 1957. 1944 Armando Laborde until 1950. He is also a very important singer in the history of D'Arienzo orchestra. 1950 Roberto Lemos replaces Laborde. 1956 Libertad Lamarque for 2 recordings. 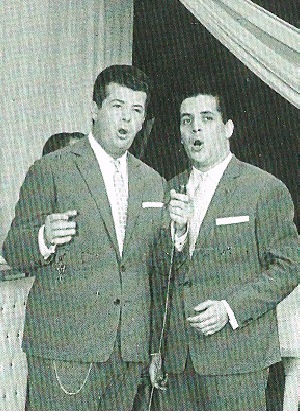 1957 Mario Bustos and Jorge Valdéz, lyrical and present voices during this period. 1961 Horacio Palma replaces Bustos in 61. 1962 Hector Millan (9 recordings). 1964 Armando Laborde until the end. 1965 Osvaldo Ramos replaces Jorge Valdéz until the end. 1968 Alberto Echagüe until the end. His accelerated tempo, as regular as a clock (we are not going to slow down!). His lively style with 4 accents per time. His sentimental violin, famous "cuarta cuerda"
His ending "fortissimo": usual perfect cadence, without artefacts and on the same tempo. 18th March 2013. 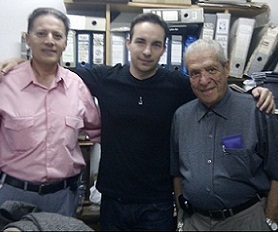 On my right: Carlos Puente, historian and specialist of Juan D'Arienzo. On my left: Horacio Palma, singer of Juan d'Arienzo in the 60's. I had the opportunity to share few words with this talented maestro and get a magic instant caught live with an old Smartphone.